Get incredible savings with the Beachbody Challenge Pack promo for January 2016. These Team Beachbody fitness programs are on sale from now through January 31, 2016. What is included in the Challenge Pack? What is included in the Kickstart Challenge Pack? What is included in The Master’s Hammer and Chisel and Performance Challenge Pack? Energize (pre-workout formula) Experience sharpened focus, push harder, and last longer, because every ounce of extra energy means quicker, better results. Energize contains key ingredients scientifically shown to delay exercise-induced muscle fatigue, improve performance, and push performance to maximum intensity. Recover (post-workout formula) Helps combat exercise-induced muscle soreness, speed muscle recovery, promote muscle growth, and restore strength. It maximizes the critical post-workout window with time-released proteins and phytonutrients to allow faster post-workout recovery, making it possible to hit the next workout that much harder. Sculpt your ultimate physique. As professional fitness competitors and personal trainers, Sagi and Autumn are masters of total-body transformation. 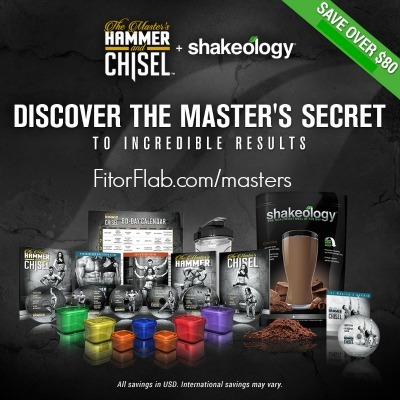 And now they’ve teamed up to bring you The Master’s Hammer and Chisel, an expert resistance training system that combines the three essential phases of muscle sculpting—Stabilization, Strength, and Power—to rapidly build, chisel, and refine your physique. Simple Fitness. Simple Eating. Fast Results. 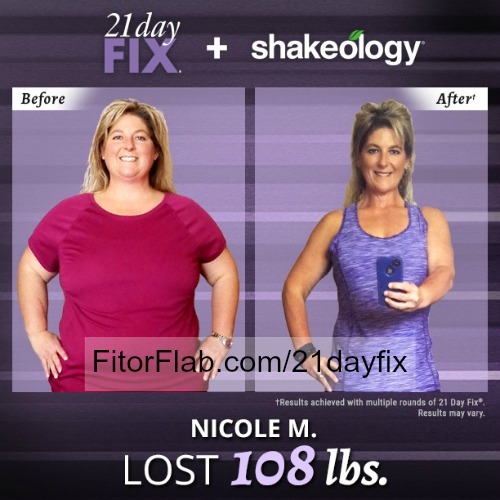 With the 21 Day Fix and Shakeology Challenge Pack, you’ll get a full month’s worth of Shakeology together with a fitness program that takes all the guesswork out of getting fast results. There’s no counting, no guessing, no wondering. Just Shakeology—Your Daily Dose of Dense Nutrition®—plus simple portion control and one 30-minute workout per day. That’s all. Because when it comes to losing weight, simplicity equals success. No complicated diet plans, no hour-long cardio workouts. Just an easy-to-follow solution that really delivers. Extreme Fitness. Simple Eating. Serious Results. When you absolutely, positively need to get lean and defined in the shortest time possible…21 Day Fix EXTREME is the way to do it. Give it all the guts, intensity, and drive you’ve got for 21 days—and you WILL get that hardbody you’ve always wanted.